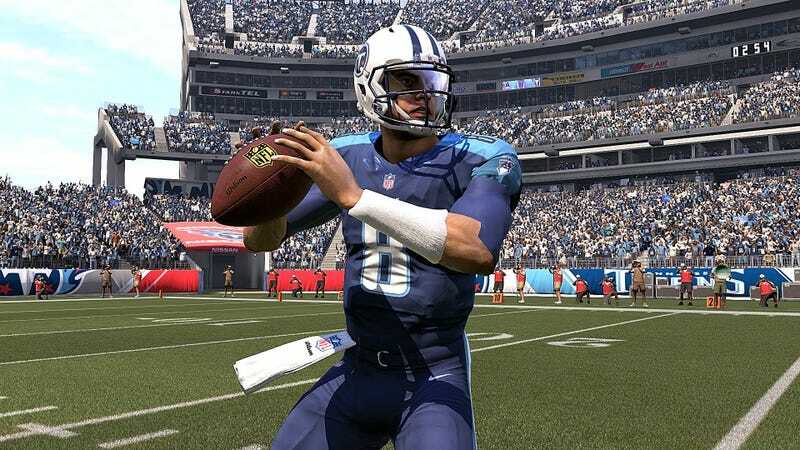 Madden 18’s artificial intelligence is designed to react to every play, simulating live football right down to the human error. One formation, however, has puzzled the computer-controlled defense, and players are using that mismatch for easy, consistent yardage. 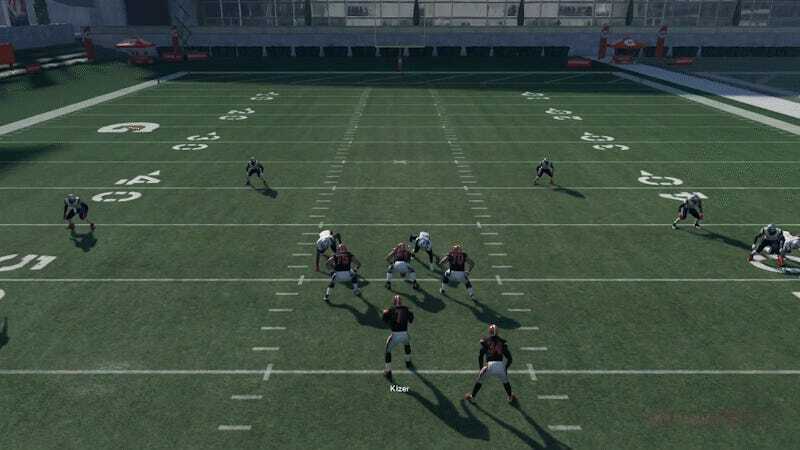 The “Gun Monster” formation is a bastardized shotgun formation that puts only three offensive linemen—the center and two guards—on the line to protect the quarterback and running back. Meanwhile, the offensive tackles are on the outside, lined up in trips with the receivers. It’s a strange offense, but one that actual teams, like the Cleveland Browns, have used. For some reason, the defensive AI doesn’t recognize the diminished QB protection and instead spreads out its front seven to cover the groups of three. Against a human opponent, this play is rarely effective. There isn’t a way to call an audible, so you have to either eat a down or call a timeout if the defense aligns correctly. But the AI isn’t able to adapt, which leaves one defensive tackle with the practically impossible task of getting through three offensive linemen and stopping an inside zone running play. We are aware of an issue with the Gun Monster formation which is causing problems with in-game AI. The issue has been identified, and will be fixed in a forthcoming Title Update. In the meantime, if you want to gain easy rushing yards on your computer opponent, the Browns, Titans, Bengals, and Ravens all have playbooks with the Gun Monster.